All arrangements have been made by the election authorities for the Jawaharlal Nehru Students' Union (JNUSU) polls, which are being closely watched in the aftermath of various controversies which rocked varsities across the country in the recent past. 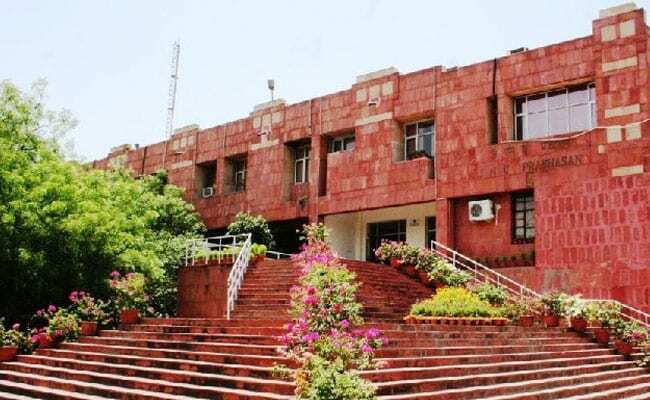 Jawaharlal Nehru University (JNU) students will vote today in the students' union polls, which will test the electoral fortunes of eight candidates eyeing the top post in the politically active campus. All arrangements have been made by the election authorities for the Jawaharlal Nehru Students' Union (JNUSU) polls, which are being closely watched in the aftermath of various controversies to hit universities across the country in the recent past. The Left-backed All India Students' Association (AISA), Students Federation of India (SFI), Democratic Students Federation (DSF) and All India Students Federation (AISF) have come together to form the United-Left alliance. DSF's Sarika Chaudhary will be contesting for the post of vice president, SFI's Aejaz Ahmad Rather will be contesting for the post of general secretary and ASIF's Amutha Jayadeep will be contesting for the joint secretary's position. The Congress-affiliated National Students' Union of India (NSUI) has fielded Vikas Yadav of the School of International Studies for the president's post. Lijy K Babu of the School of Life Sciences will be contesting for the post of vice president.